Available in 50 ml and 300 spray bottles. Store in clean space at room temperature. Shelf life two years unopened and 12 months when opened. 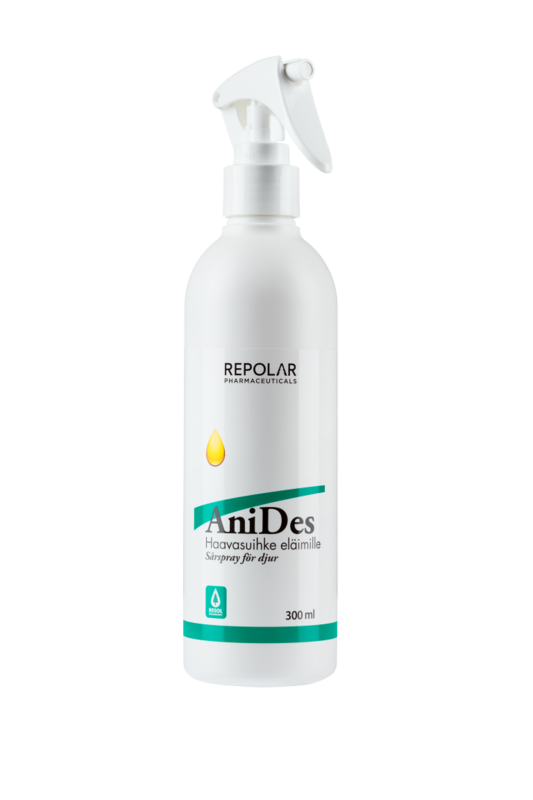 AniDes® contains active components from the natural coniferous resin extracted by using the Resol® Technology. 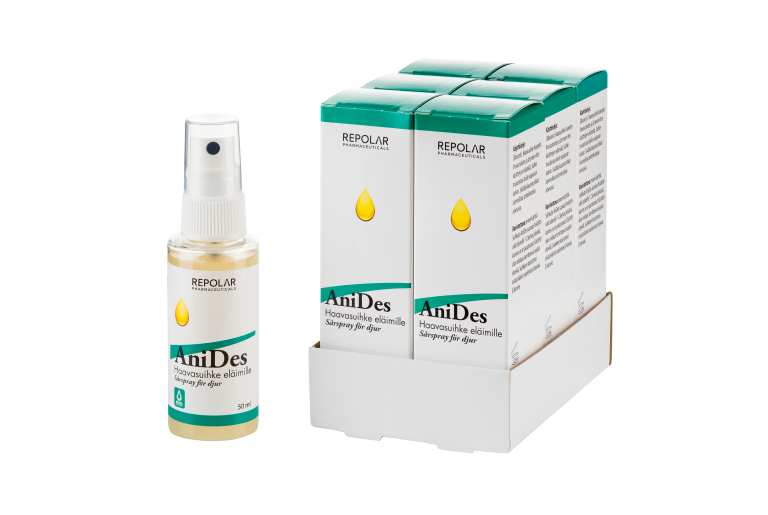 Spray AniDes® directly to the wound or affected area one to two times daily until the wound has healed. Treated area can be protected with a dressing when necessary. Can also be used by soaking compresses deposited directly on the wound. For external use only. Does not sting or color the fur. Composition prevents the pet to lick the treated area. 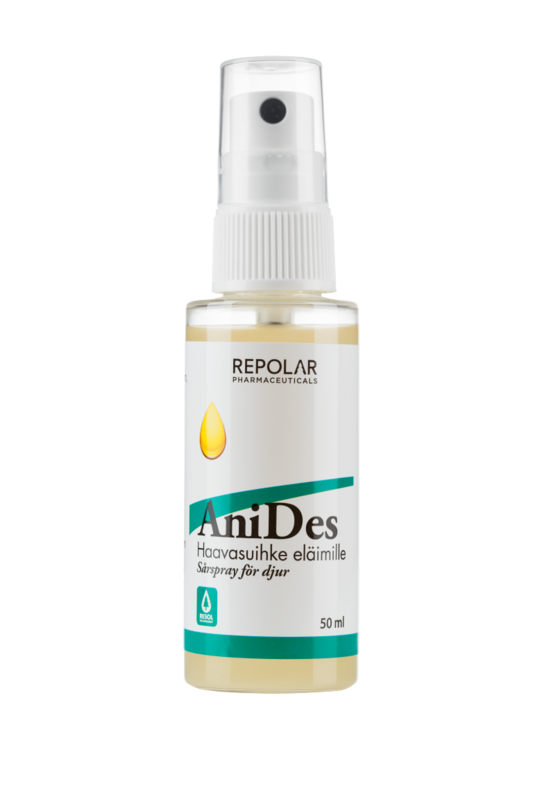 AniDes® Wound Spray is manufactured in Finland. Retail for consumers and veterinarians from pharmacies and pet stores.